The average team is scoring 100.2 points per game. By definition, the break point for winning and losing is going to be around 100. Three other teams are unbeaten when opponent scores less than 100 — GSW (15-0), ATL (14-0), TOR (12-0). Sorta interesting that three of the four unbeatens are in the East. 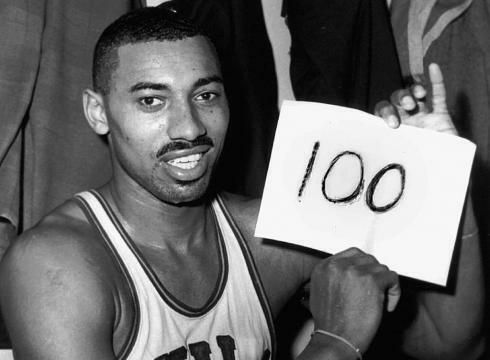 Four teams have losing records when opponent scores less than 100 — CHO (3-5), NYK (5-9), DET (4-9), PHI (1-7). Hmm, all in the East. Two teams are .500 — ORL (8-8) and UTA (5-5). Another team in the East and one of the really bad teams in the West. League record when opponent scores less than 100 points — 261-103, a .717 winning percentage. OKC leads league in holding opponent under 100. They’ve done it 19 times and are 11-8 in those games. Of course, they’ve missed Durant and Westbrook (aka their offense) for many of those games. The Lakers are 5-2 when holding opponent under 100. Wizards are tied with GSW, MEM, MIA, and BRK for 4th most games holding opponent under 100. OKC (19), POR (17), HOU (17) and ORL (16) are the top four. This statoid isn’t as meaningful as we’d like it to be.